Bill Durkee - 60 Years of Rotary! 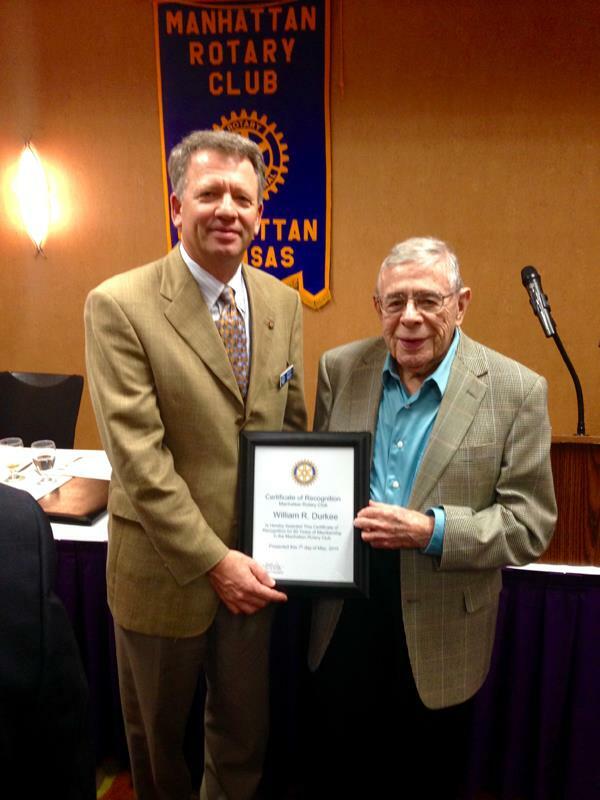 Last week, Manhattan Rotary Club was pleased to honor Bill Durkee for being a Rotarian for 60 years! You can watch the award presentation here. Congratulations, Bill!